I was very fortunate to receive an advance copy of Howard Marks's new book, The Most Important Thing, directly from Howard himself. I then asked Howard if he would mind if I reviewed the book for my blog. 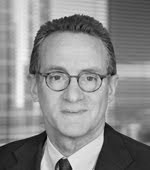 Knowing how popular the memos he writes on behalf of Oaktree Capital Management are with members of the value investing community, I thought my readers would really enjoy learning more about his investment philosophy. Howard agreed to let me review the book on one condition: that I do so objectively and without hesitating from articulating any criticisms I had. The ultimate product is the following analysis of The Most Important Thing, in Scribd format because it is a little too long for a blog post. If you have any troubles with Scribd or would like a PDF copy, just email me at inoculatedinvestor@gmail.com and I will happily send it to you. According to the link to the book on Amazon.com, it will be available on May 1st and can be pre-ordered now. I won't take any time here (read the review!) to explain why, but I highly recommend that readers with an interest in investing consider purchasing the book in order to further your own knowledge and gain a new appreciation for both Howard's writing and approach to investing. 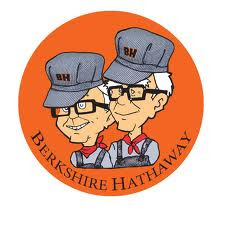 As in previous years, I plan to blog about all of these events and hope that I will be able to produce my usually comprehensive notes for the Berkshire meeting and the Value Investing Congress. If you are planning to be at any of these events and want to meet up, feel free to email me. I would love to meet more of you in person. However, if you are not able attend, I hope my notes will serve as a good substitute. So, stay tuned for a series of posts that should be the best ones of the year. Thank you for following my blog and I look forward to sharing my content with you.